The first television drama in which Jack had a speaking part was I’m Talking About Jerusalem, recorded by the BBC in August 1965. It was broadcast after some of his other work. Late in 1965 Jack appeared uncredited in an episode of Z Cars, broadcast live. Few of these survive and it has not been possible to identify Jack’s episode. Not all of Jack’s screen work was seen: he filmed a scene for The Bill in 1989, but the episode overran and the scene was cut. In 1999 he recorded a pilot show for the BBC, Crazy Jonathans. This was never broadcast. The list below begins with Jack’s earliest work in broadcast order, and will be expanded as we develop the site. Dates of first broadcast are for U.K. unless otherwise noted. Milo O’Shea (Henry Wilkes), Christine Hargreaves (Monica Wilkes), Patsy Rowlands (Anne Lovejoy), Jack Wild (Danny), Ann Lancaster (Mrs Bryant), Eric Thompson (Norman), Desmond Jordan (Dr Chambers), Julie May (Mrs Dixon), Nigel Lambert (Milkman), Bernard Kay (Det-Sgt. Crouch), Alan Haywood (Det-Const. Fraser), Mina-Mina (dog, trained by Barbara Woodhouse), Marguerite Young, Jean Channon, June Bland, Lionel Wheeler (non-speaking fish shop customers). Out Of The Unknown was a long-running series of quirky one-off dramas, often with a science-fiction element. The brilliant Irish actor Milo O’Shea plays a fishmonger who cultivates rare tropical plants in his garden, talking to them and feeding them with unusual things like diced rabbits and large doses of vitamins. His wife is afraid of the garden: ‘Those flowers are wrong. They don’t belong to this country, and yet… they live all through the winter and never die.’ This “comedy with a chilling edge” featured Jack as the boy next door who gets attacked by the flesh-eating plants after firing his catapult at them and their owner. One of the breaks in the studio recording was to allow for Jack’s costume change and make-up after the plant attacks him. This was not the first speaking role Jack recorded, but it was the first to be broadcast, and survives in the BBC archives. Andrew Cruickshank (Dr Cameron), Barbara Mullen (Janet), Bill Simpson (Dr Finlay), Alan MacNaughton (Mr Lauderdale), Clement McCallin (Mr MacFarlane), Alastair Hunter (Mr Alexander), Heather Bell (Ellen Weir), James Cosmo (Peter Randall), Kara Wilson (Hetty Farrar), Iain Smith (Davey Foster), Effie Morrison (Mistress Niven), Michael Sheard (Jock Farrar), Yvonne Coulette (Mrs Weir), Frank Shelley (Mr Weir). Plus a choir of 15, and 25 walk-ons, including Jack. This popular drama series ran from 1962 to 1971, usually broadcast in 50 minute episodes on BBC1 on Sunday evenings. Based on stories by A.J. Cronin, the series was set between the wars in the fictional Scottish community of Tannochbrae. 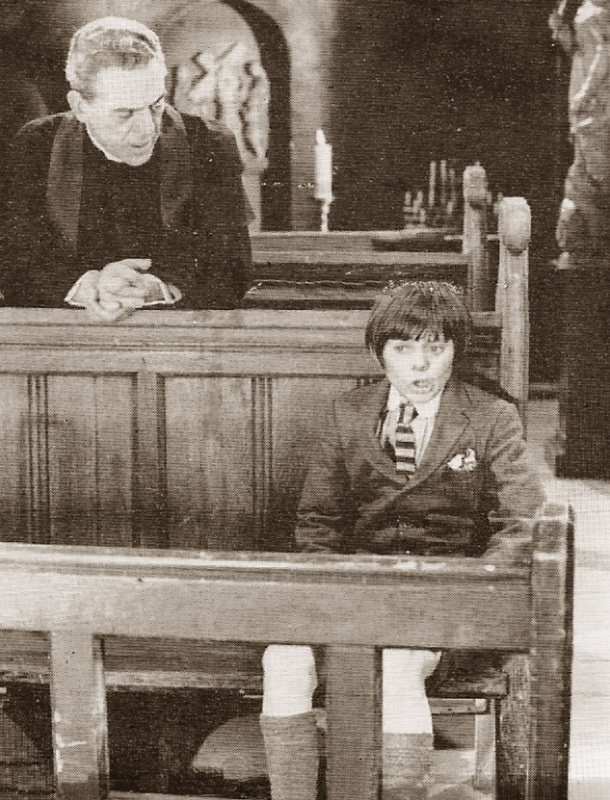 Jack was one of 3 children supplied by Barbara Speake’s stage school in walk-on roles for the day of recording only, presumably to be part of the congregation in scenes set in a church. The episode does not survive in the BBC Archives. With André Maranne and Pamela Stirling, François Brincourt as Jean-Paul and Malou Pantera as Françoise. Jack was one of 5 children supplied by his stage school for one day’s recording on this particular episode. 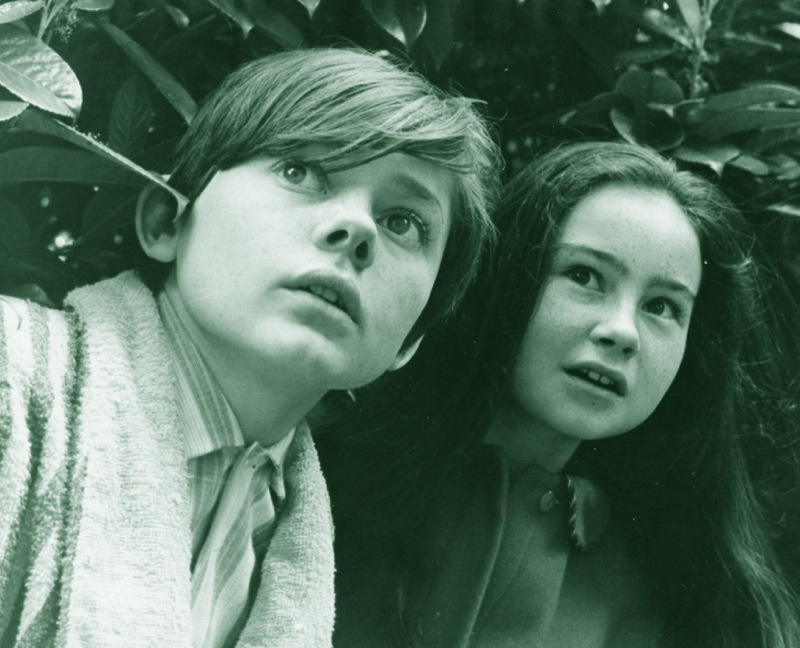 The others were Teresa Odell, Veronica Purnell, Philip Harris, and Robert Bartlett (a lifelong friend of Jack’s; they would later work together on Jackanory and the film of Oliver!). In the final play, Dave Simmonds comes back to Ada Kahn after almost a decade away fighting in Spain and in World War II. He is determined to escape from urban capitalism and aims to become a furniture craftsman living a simple, self-sufficient socialist existence in the Norfolk countryside with his family. Recorded in August 1965, this was the first speaking role for Jack in a tv drama, although not the first to be broadcast. He is in one scene only, mainly heard from the other side of a wooden wall, then briefly seen. The programme survives in the BBC Archives. Alethea Charlton (Elizabeth), Peter Ducrow (Police Sergeant), Shelagh Fraser (Mrs. Jones), Geoffrey Hibbert (Mr. Jones), Stanley Meadows (Det. Sgt. Carter), Susan Richards (Mrs. Everton), David Webb (Frank), Arthur Wild (Lawrence Jones), Jack Wild (Peter Jones), Peter Bartlett (Tommy), and André Cameron, Rikki Paterson, John Freeman, Derek Martin, Keith Wilkinson. 26 others appeared in filmed inserts, including Linda Joliff, Barry Atkins, Phil Collins, Danny Grover & Chris Cooper from Barbara Speake’s stage school. So did Steven Grives, who Jack worked with many years later on The Ravelled Thread. A major programme for Jack, playing one of the leading characters opposite his elder brother Arthur. 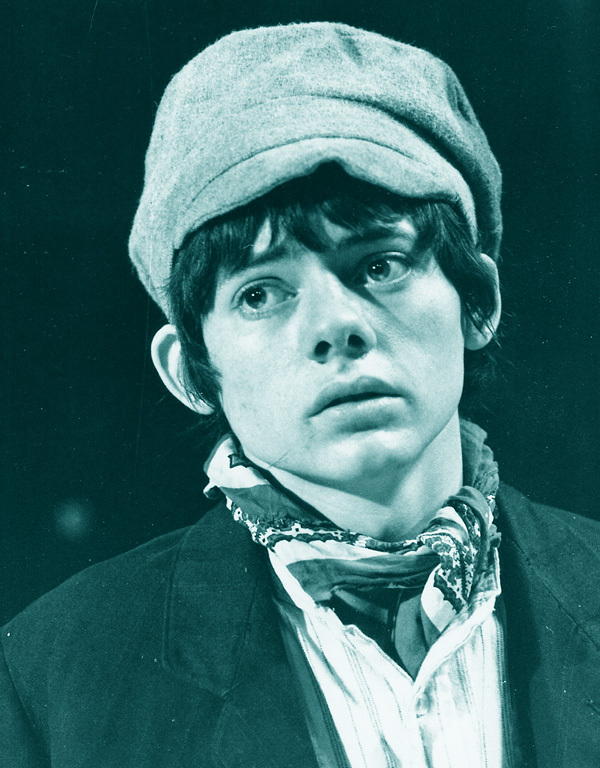 They played two brothers who torment an old lady, and a review in the following day’s Times commended their work: “neatly and unselfconsciously played by Arthur and Jack Wild”. Another review noted they were “wholly convincing and expressive as the two delinquents…and had none of the artificial mannerisms prevalent among child actors”. The programme does not survive. Bernard Archard (Nathan Fletcher [the mill owner]), Marion Mathie (Eleanor Fletcher), John Collin (Josiah Braithwaite), Keith Bell (John Hobhouse), George Baker (Matthew Hobhouse), Ann Lynn (Annie Hobhouse [John’s wife]), Alan Baulch & Ann Evans (Matthew’s children), John Moore (Mr Whittle) plus 24 extras, including 4 children: Suzanne Togni, Judy Warren, Barry Kelly, Jack Wild. The programme does not survive in the BBC Archives. Journalist Jim Lord returns to his native Liverpool to interview a ‘pop’ poet, but finds himself interviewed instead. The programme went out live and does not survive in BBC Archives. Selected cast: Vanda Godsell (Mrs Heenan), Thomas Heathcote (Frank Claw), Gladys Henson (Gran Hamilton), Jeremy Bulloch (Philip Cooper), Alan Browning (Ellis Cooper), Maggie Fitzgibbon (Vivienne Cooper), Rosamund Greenwood (Sarah Peddle), Madeleine Christie (Emily Peddle), Gerald Cross (Arnold Tripp), Naomi Chance (Amelia Huntley), Arthur Hewlett (Mr Simkins), Helen Cotterill (Betty Lloyd), Michael Collins (Jeff Langley), Sandra Payne (Janet Langley), Tony Steedman (Arthur Huntley), Sally Lahee (Eunice Huntley), Sandra Williams (Peggy Simkins), Patrick Connor (Peter Connolly), Raymond Hunt (Lance Cooper), Susan Bills (Maisie), Maggie McGrath (Esther), Eileen Way (Mrs Brassett) and Jack Wild (Pip Claw), Denise Brown (Ruth Claw), Martin Kendle (Joe Claw). Classic comedy series set in the household of Colonel Maynard, about the running battles between his staff, particularly his chauffeur (Sid James) and his housekeeper (Peggy Mount). 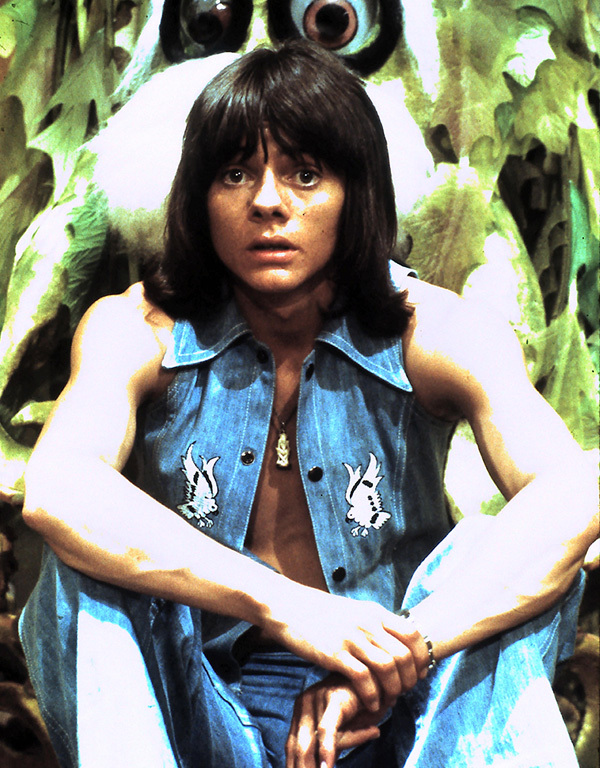 There were four series totalling 26 episodes, and this was the final episode of the first series. Jack and the other lads are in two scenes. He’s the only one of them with much to say! The complete series is available on dvd. 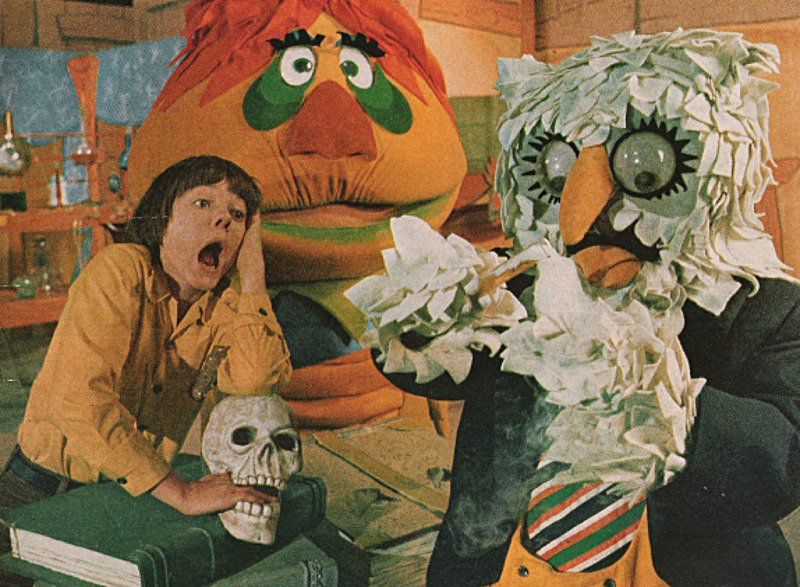 The long-running children’s story-telling series, usually broadcast five afternoons a week from December 1965, had a different book and narrator each week. The narrator read the story and there were various illustrations, but occasionally the stories were partly dramatized as well, and this is an example. Jack was here working again with his friend Bob Bartlett, and would work again with Chris Cooper later in the same year on the film serial Danny the Dragon (see film section). The episodes do not survive. Peter Blythe (Emilio Brentani), Derek Godfrey (Stefano Balli), John Baker (Michele), Hilary Hardiman (Amalia), Ilona Rodgers (Angiolina), Katherine Parr (Signora Zalli), Shirley Dixon (Margherita), Brian Poyser (Waiter), Carleton Hobbs (Doctor Carini), Fiona Nicholson (Elena Chierici), Ernie Williams, George Jones, Dennis Tyson (Café musicians). Children in the Zalli Household: Leslie Roach, Gloria Talmadge, Jack Wild, Freddie Foote. Jack was one of four children from Barbara Speake’s stage school supplied for the programme at 2 guineas a day. A story about the possible murder of the mysterious Dr Lana, this was the 11th in a series of 13 adaptations of Doyle’s short stories, running on Sunday evenings (and timed to start just as Dr Finlay finished over on BBC1) from January 15th to April 23rd 1967, inclusive. There was no episode shown on April 9th due to a golf broadcast. Seven episodes were repeated on BBC 1 from August 14th to September 25th 1967, on Monday evenings. Jack remembered playing a newspaper boy in his first tv after finishing shooting Oliver! 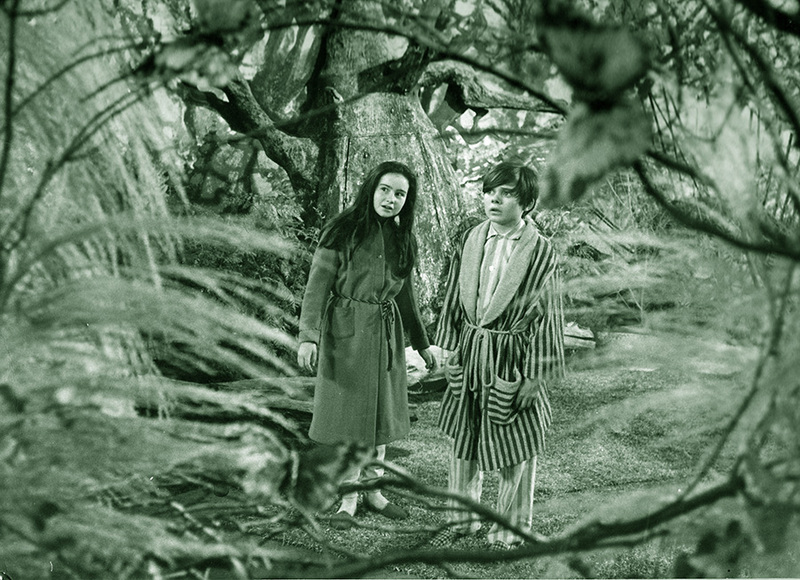 LWT press note: “HATTIE JACQUES is the star, and the twins, Molly and Jack, are played by SALLY ANN JONES and JACK WILD in their first big television parts. “It is their twelfth birthday and episode one starts with a family party. Gathered together are Grandad, Mum, Dad, Aunt Phoebe, Cousin Cissie and Cliff and Aunt Nancy. As usual, Aunt Phoebe’s present for Molly is ‘off’ – a second-hand grey pin-cushion shaped like a pumpkin. “What happens to a salesman whose nerve fails whenever he meets a customer? … Frank Finlay has played some of the big classical roles… but perhaps his real gift is for playing rather downtrodden little men in naturalistic modern comedies: men like David Field. Another small part for Jack. The programme survives. For a close-up in the sequence in which Gran tempts Jackie to put his hand in a candle flame, a cast of Jack’s hand was made. He kept it. 1: The Magic Path; 2: The Wheely Bird; 3: Show Biz Witch; 4: The Mechanical Boy; 5: The Stand-in; 6: The Golden Key; 7: The Birthday Party; 8: The Box Kite Kaper; 9: You Can’t Have Your Cake; 10: Horse with the Golden Throat; 11: Dinner for Two; 12: Book, Flute and Candle; 13: Tooth for a Tooth; 14: The Visiting Witch; 15: The Almost Election of Mayor Witchiepoo; 16: Whaddya mean the Horse gets the Girl? ; 17: Jimmy Who? Filmed in Hollywood in the summer of 1969 this perennial favourite was one of Jack’s happiest working experiences and still has a huge following. Filmed in Charlestown and Dartmouth, Devon. Made with the help of Dartmouth Corporation and the captains and crews of The Charlotte Rhodes and Danmark. Jack played a young stowaway in this episode of the long-running Victorian nautical saga. The whole series has been released on dvd. Jack appears as himself, on vacation. He meets Johnny and Scott at the beach and spends the weekend with them. But the Oozes try to hold him captive. Jack filmed this episode when he was over in Hollywood for the Kroffts’ Hollywood Bowl extravaganza. He was reunited with many of the cast and crew from the Pufnstuf series and movie. Jack appeared in episodes 1, 2, 3, 4 & 7 of this classic BBC Dickens adaptation. 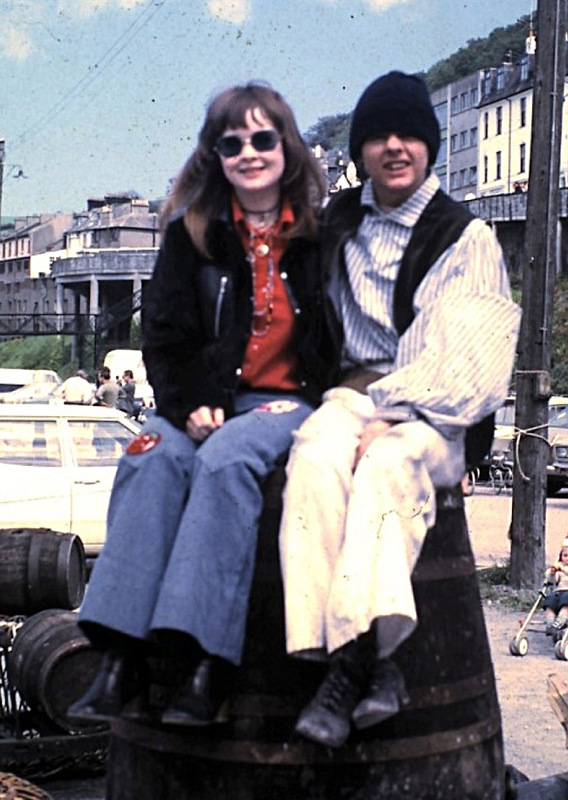 He finished his main shooting block three days before his wedding to Gaynor Jones, and had a month’s gap before returning for episode 7. 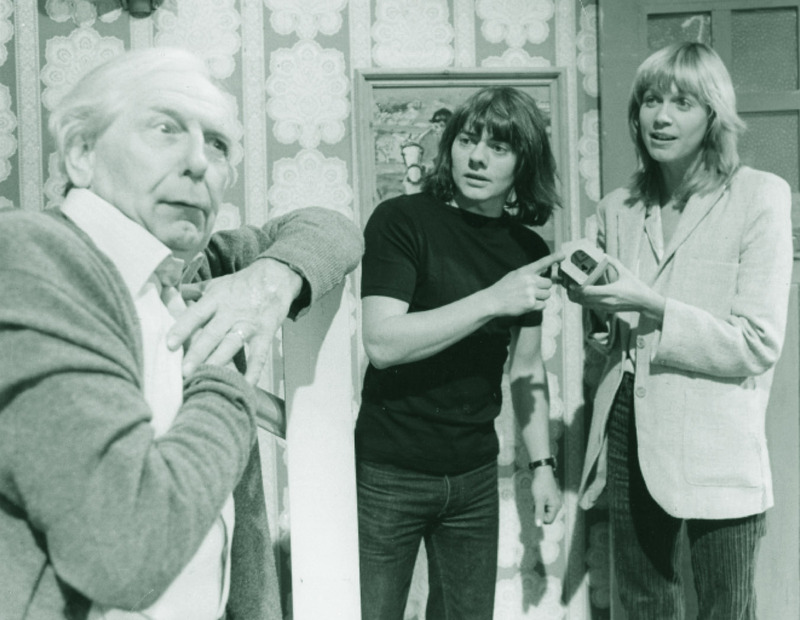 3 episodes, originally broadcast in BBC1 ‘For Schools, Colleges’ slot, Tuesdays 2, 9 & 16/11/76, 2-30 – 3pm. Jack played the supposed Inspector’s servant Osip (pronounced “Oss-ip”). The action, adapted from Nicolai Gogol’s original, was relocated to Wales. At the end of the series, when the real government officials turn up, the cameo roles are played by Stratford Johns and Frank Windsor, then best known as detectives Barlow and Watt in BBC’s Softly Softly, the characters they had created in the original series of Z Cars. Michael is a 15-year-old truant coping with his father’s disability and his parents’ separation. Jack was about to turn 24 at the time of filming. First Broadcast: Sep 21 1978 to June 21, 1979. A schools programme designed to help develop maths skills, the format was a sit-com in which ‘the two laziest men in Watford’ Sam (Arthur English) and his grandson Mike (Jack) were left to fend for themselves when Mike’s mum has to go away. Very funny, with a host of familiar British faces, it was repeated five years running, but a proposed primetime sitcom with the same characters didn’t happen. Jack had a marvellous time working with the great Arthur English, a master of comedy. John Lucarotti’s children’s book, published by Puffin 1979, contains a glossary of Victorian underworld slang which reveals that ‘Gegor’ means ‘beggar’. The book also describes Gegor as an ‘undersized, twisted, palsied thirteen-year-old’. Jack was 26 at the time of filming. The series is available on dvd. Jack played a small role in this episode of the long running series. 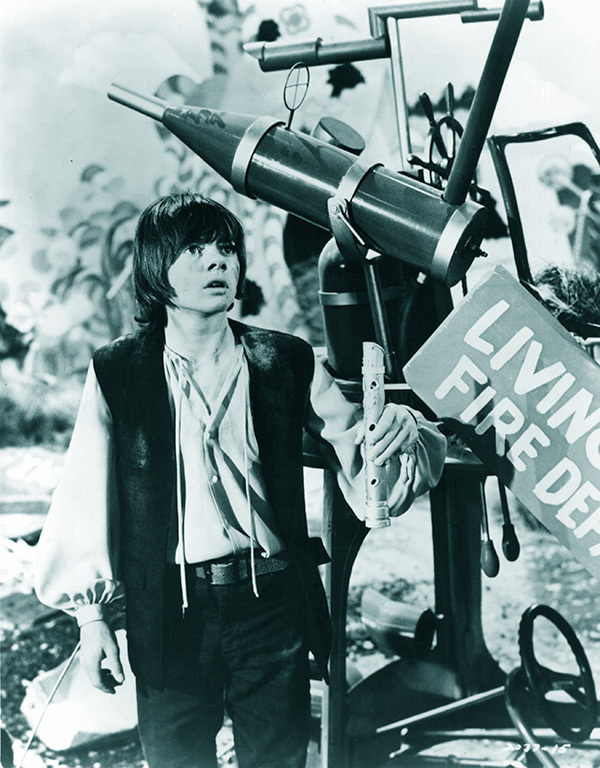 Cast included Gareth Thomas, Jack Wild, Louise Germaine, Gareth Hunt and Kenneth Cope. Jack had a cameo role in this spin-off series from the popular Guy Ritchie film.